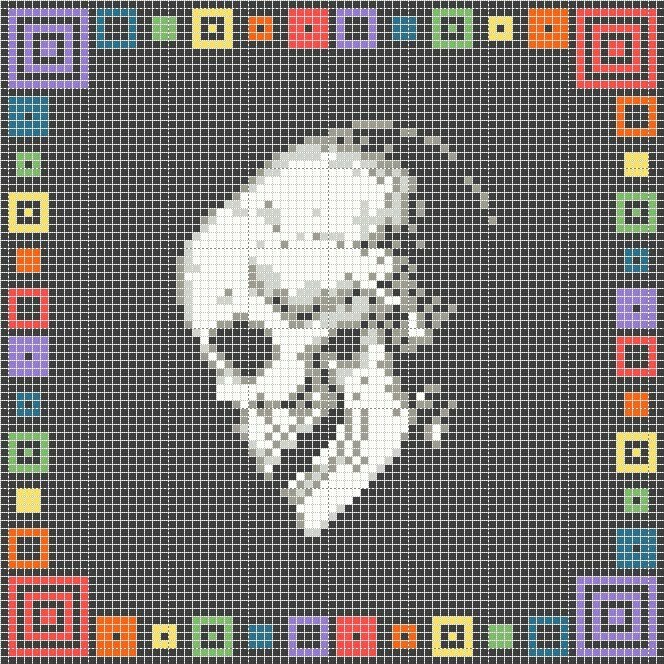 As a lil' sorry for it being a while since posting last, and because I've been meaning to do it for a while, I wanted to share my skull cross stitch with you along with a free pattern. So this was the teaser I posted just before the new year, along with a filter-less photo of what it actually looked like. 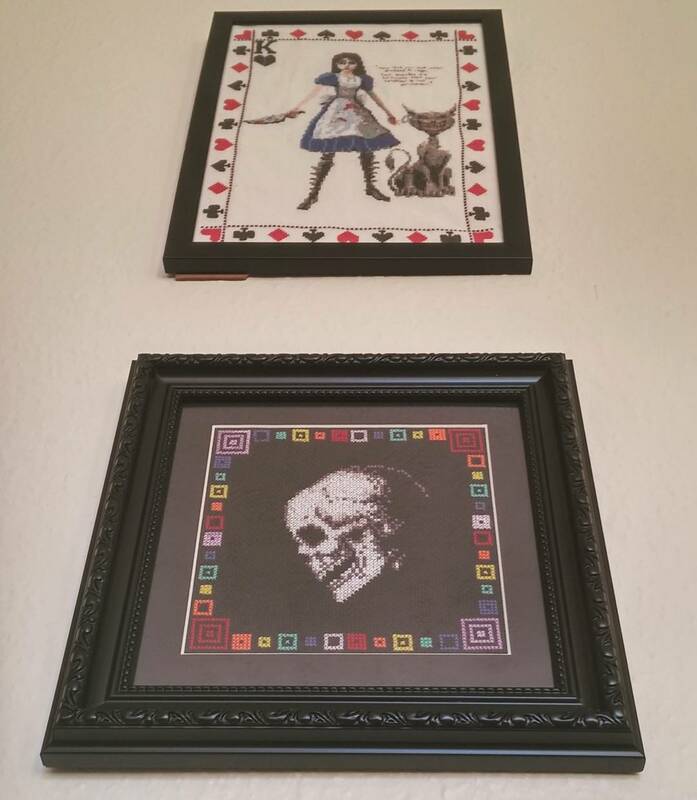 I decided a geometric rainbow border would contrast with the realism of the skull nicely, and designed it so it fits snugly inside a 6 inch frame. I also think he'd look great with a wreath around him and a Christmas hat, but maybe that's just me! 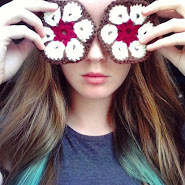 I kind of want to do one for each season of the year. 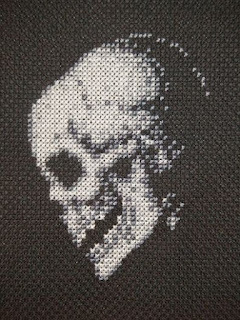 The pattern shown is 83 x 83 stitches, meaning that on 14 count aida it's almost exactly 6 x 6 inches. Of course you can adjust the border as you see fit, and I'm more than happy to assist if you'd like it in a different size and want some help. In a black 8 inch frame with a black 6 inch border, under Alice on the living room wall. The angle is pretending to be artistic but really just avoiding the light reflection on the glass. 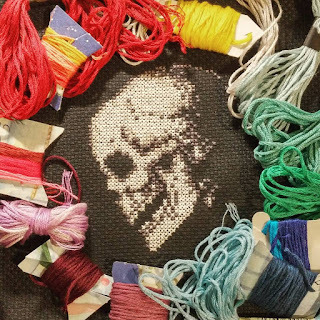 As someone who struggles to finish projects, I'm glad it's finally out and on display. I've actually been working on this for quite a while, but I lost my darker shade of grey and was forced to tidy the house to find it again! Hi there, apologies for the late reply.